With the new Element Membrane sails, we’ve eliminated the use of heavier Mylar films, which are the weak link in sail durability. Mylar films provide good isotropic qualities but have poor flex fatigue and thus crack or split. The industry standard for many years was continuous string film on film sails, commonly referred to as membrane sails, which relied on the Mylar as a carrier to house the adhesive and yarns. However once ruptured, the film tore easily until it reached the next fibre bundle. Repairs were required more often to avoid any catastrophic failures. 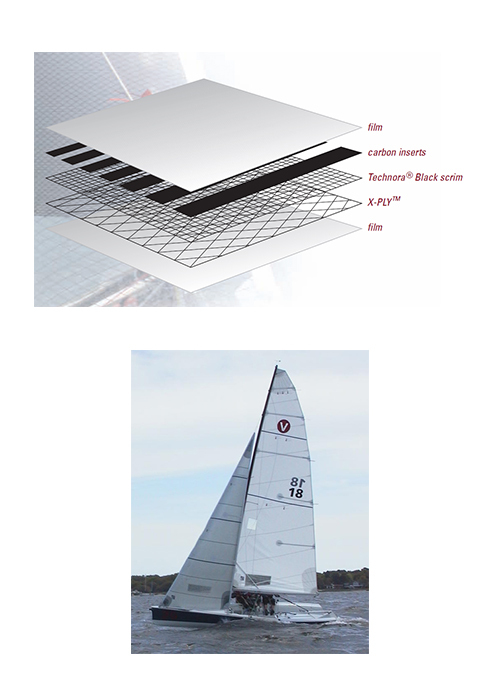 Without the use of Mylar films we are now allowing the load bearing and matrix fibres to handle the complex strains within the sail. 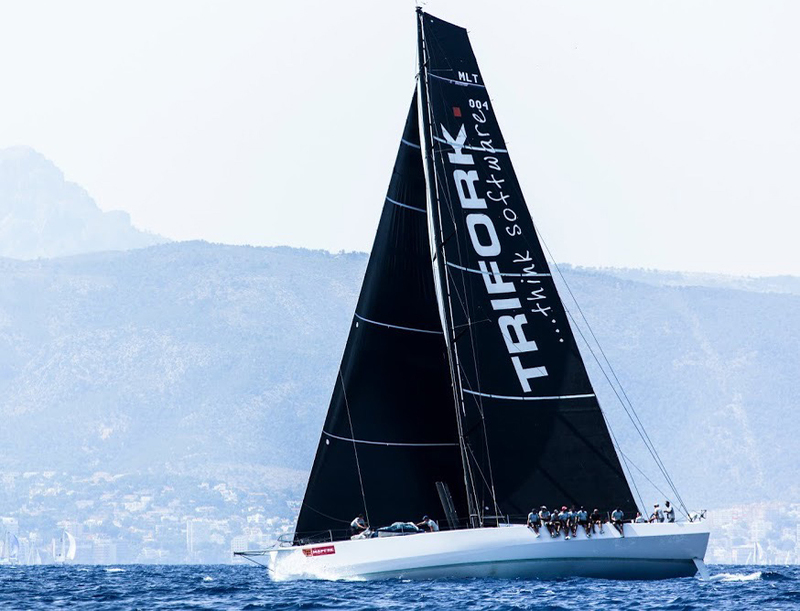 This is sailmaking evolved. 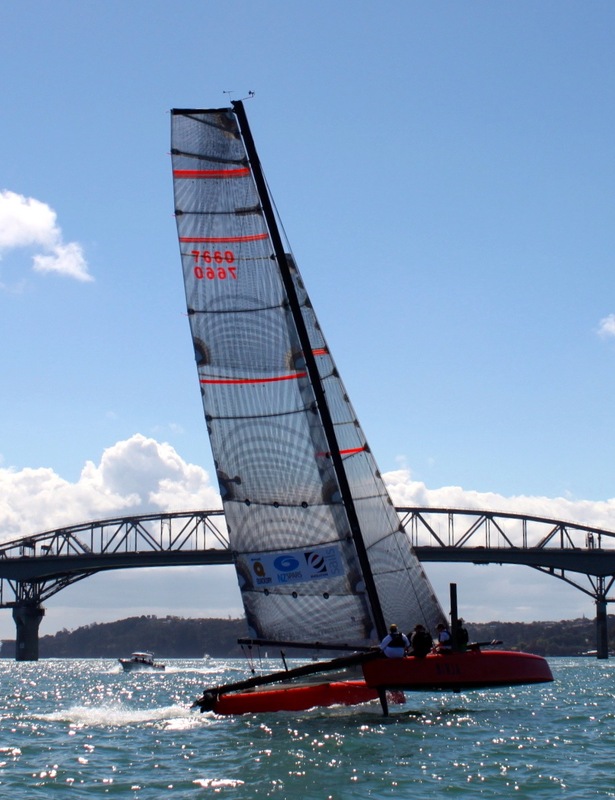 Element sails also feature a double sided “rugged outer barrier” made using an array of various black composite fibres that are non-woven to save weight, provide strength, increased abrasion resistance and provide a smooth strong surface finish. Another great feature is the “softer hand” that Element offers to make sail handling more enjoyable. Our Element Membranes are available in Twaron, Carbon, Vectran and Carbon/Twaron blend and are recommended for boats over 30 feet.